Mistakes are an integral part of human lives. Smart people try to avoid mistakes, while in some situations, it is done intentionally. Though, it is a fact that we learn from our mistakes even though it is while choosing the best hosting provider for business. Doing mistakes intentionally in business can lead it to the path of losses, disappointments, and failures. So, a poor web host can impact your bottom line and hit your reputation severely. 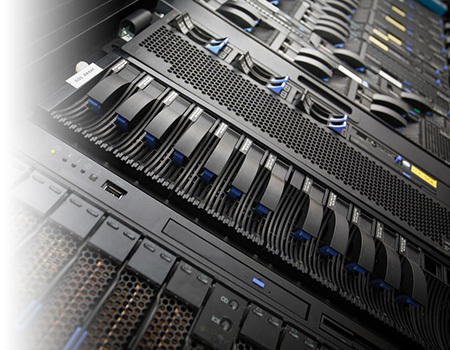 This post unveils mistakes that you need to avoid when choosing the best hosting provider. Read on! Now, it is no less than a blunder. In today’s digital space, no service is available for free. So, do not live under the impression that free hosting is beneficial. On the contrary, when you fall for a free hosting, you remain no longer the customer, you become the product. You should never forget the fact that even free web host provider needs to make-a-living. They do it by placing ads on your website without your permission, which makes site quite unprofessional. It happens you get overwhelmed with a lucrative web hosting plan. In this scenario, whenever you see out-of-the-box offers, make sure you investigate before buying that plan. For this, you should read online reviews. However, what many people do, they purchase a plan in excitement and later on realize that it was not something that best fits their business needs. Consequently, they waste their valuable time and money and play with reputation. This one probably is one of the biggest mistakes SMBs could ever do. Budget is crucial for startups and to make most of the available finances; they need to make wise decisions. So, it is always good to go with the best hosting providers that offer guaranteed refund in case they fail to deliver services as per standards. Safeguarding investment is necessary. So, do not choose the web hosting that offers no refund guarantee. This mistake can prove to be a complete wastage of time and money. So, if you do not have prior experience with a Webhosting company, do not restrict yourself with anyone by signing up for a long time. Start with a monthly package to test out the services and if you find everything okay, choose a yearly plan. Choosing the best hosting provider is not a low hanging fruit. However, being in business, it is a process that you have to go through it. So, try to avoid the mistakes as mentioned above to select the right web hosting provider.